This chapter is a revised and longer version of an essay, ‘The Poetry of Experience and the Cockney Profession of Poetry’, Wordsworth Circle (Spring/Summer 2016), 119–23, that was originally written in honor of Robert Langbaum, my dissertation director at the University of Virginia. The kind of historical literary work I do today can seem far away from the boldly argued and strikingly phrased insights of Bob’s work from The Poetry of Experience forward. And yet, as I think about this current piece, I see at least two lingering influences. First, I learned from him that literature is always international, always comparative. Second, while I am treating a more mundane sense of experience in this essay than Langbaum does, I still want to assert a connection with his seminal work. For me, the Cockneys are perfect examples of his poets of experience. Since the volume for Bob underwent transformations that precluded a longer tribute to him, I wanted to acknowledge his formative influence on me here. 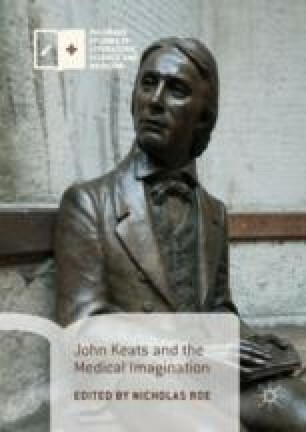 Keats’s poetry and letters are usually quoted from my Norton Critical Edition; letters not in that edition are cited from LJK.